Earlier this summer, Welwyn Hatfield Borough Council published the draft Local Plan – a planning framework for the Borough running until 2032. The week before last, the final (Regulation 19) Consultation period began, running from August 30th – October 24th. Among the sites allocated in the Plan are four owned by Gascoyne Cecil. Following our extensive engagement on two of these sites earlier this year, a 10-day long workshop at the beginning of February focusing on proposals at Stanboroughbury and Symondshyde. Whilst the Borough Council is holding consultations on the entire Local Plan, we will be hosting our own site-specific exhibitions in various locations across the Borough. The aim of this series of consultations is to continue those conversations begun at previous meetings and exchanges with local communities. 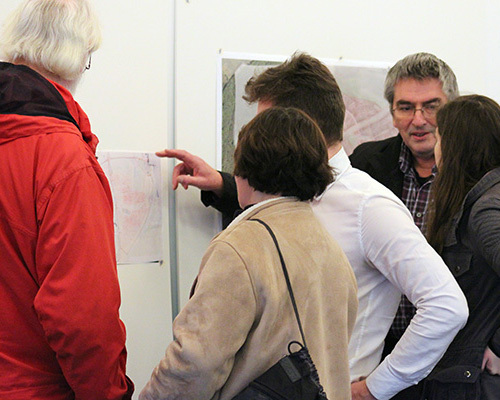 We hope that we will be able to demonstrate the progress made in our plans and have some fruitful discussions with local residents, whether about the Local Plan process, our design philosophy or specific concerns about local subjects. Please do come along to these exhibitions, and discuss any thoughts or concerns you may have.